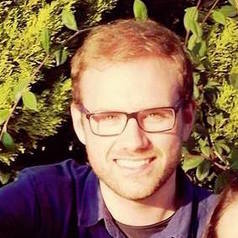 Kristopher Wilson is a Charlie Perkins Scholar and DPhil candidate in Cybersecurity/Law at the University of Oxford, and a Sessional Lecturer in Intellectual Property Law and Internet Law at the University of Reading. His current research involves evaluating the utility of the Computer Misuse Act in adequately responding to the developing nature of the use of computers in criminal activity. Prior to this he was an Associate Lecturer and Academic Advisor at Yunggorendi First Nations Centre at Flinders University, teaching Introduction to Indigenous Studies, advising Indigenous Law and Business Students, and working in school and community outreach programs. He was also a Sessional Tutor at Flinders Law School working in the topics Introduction to Public Law, and Legal Research and Writing. Kristopher undertook his LLB(Hons) at Flinders University, and his LLM at the University of New South Wales. Outside of Academia, Kristopher has worked with the South Australian Law Society's Indigenous Young Lawyers Mentoring Program, worked on various research projects with the South Australian Attorney General's Department, and continues to work as a mentor with 'The Aspiration Initiative' program. He also works with the 'We Connect the Dots' academic summer school program based in New York.